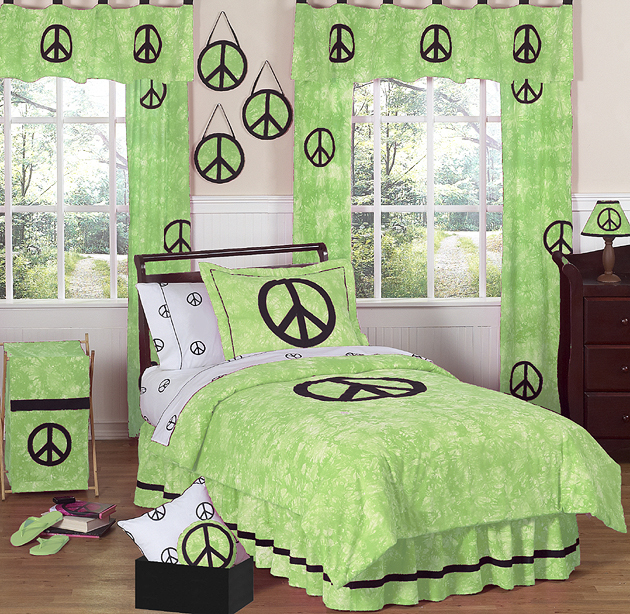 Beyond Bedding has just added four new tie-dye children's bedding collections by JoJo Designs. The bedding sets are available in a range of colors including green, blue, pink and purple, perfect for any little boy or girl! The bedding sets come in Twin, Full and Queen sizes and will add instant style to your child's bedroom. 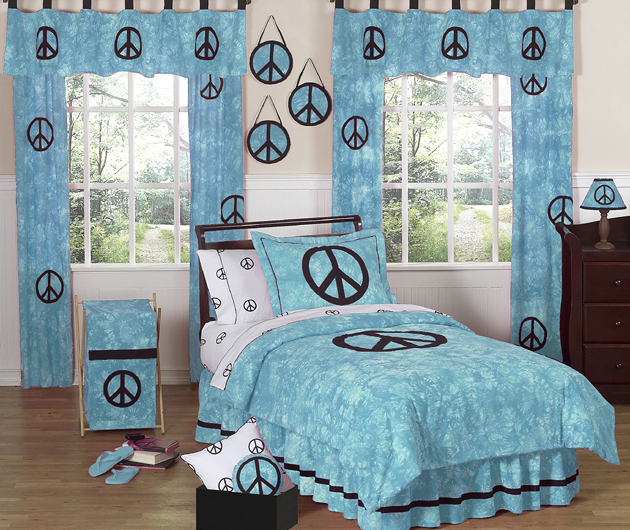 The Peace Sign designer children's bedding set uses an super soft tie-dye cotton combining the large peace sign embroidery and appliqué work. This set combines groovy 60's style with high-end modern design. The three piece sets include a comforter and two pillow shams. Don't forget about the room accessories! Add even more flare to the bedroom with a matching decorative wall hanging, bed skirt, window valence, window treatment, laundry hamper and the adorable peace sign sheets! Click on an images to view the product page! For some beautiful Designer Baby Bedding visit designerbabybeddingshop.com. Here you'll find an extensive selection of high quality bedding for your little one. With soft comfortable fabrics and numerous colors, patterns, and styles, you can be assured that baby will have the most peaceful sleep possible. Our pricing is very reasonable and our customer service is fantastic. Sales associates are available to assist you and answer any questions you may have.